I realize this post is long overdue, but Christmas this year was really lovely so I’ve decided to still talk about it. Until February that is. Once February hits, I will forget Christmas until at least next November. Promise. 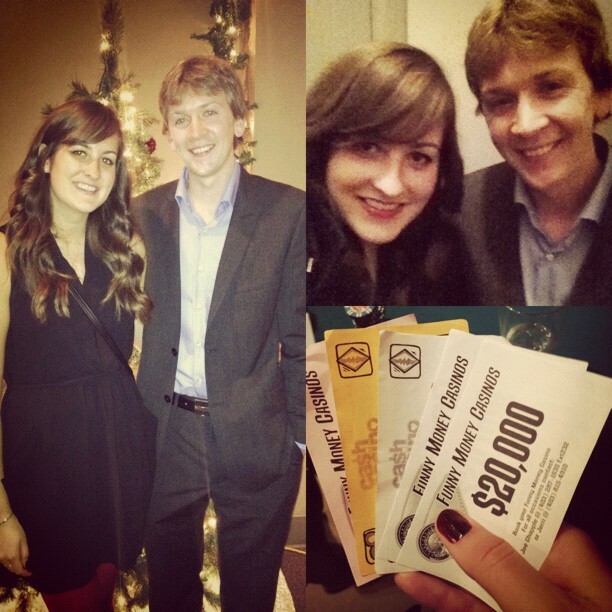 Our holiday festivities started in November with N’s work murder-mystery-casino-night themed party. His company is pretty small so it was just 30 people plus their spouses/dates, but it was really fun. I haven’t done a Murder Mystery in years. I didn’t really know what to expect, but they did a great job with it and it forced more interaction than normal. Once the murder was solved, they set up the tables for the casino and we gambled the rest of the night away! For my Christmas Party we decided to get a room at the hotel with H and Z. Last year, they’d had a really hard time finding a cab afterwards, so we decided it wasn’t worth the hassle. The theme of our party was Hollywood Glam/the Oscars. We started the night getting ready in the hotel room. One of my favourite things about going out was always getting ready together, listening to 80s music, and having drinks. It’s still one of my favourite parts of the night, but now that we all live on our own, we tend to just meet up at the bar. It was fun to have do it again a little bit. I’m pretty sure N & Z thought it was totally awesome too. I even busted out the fake eyelashes! Another couple joined us for a drink before we all headed down to the party together and the shenanigans began. 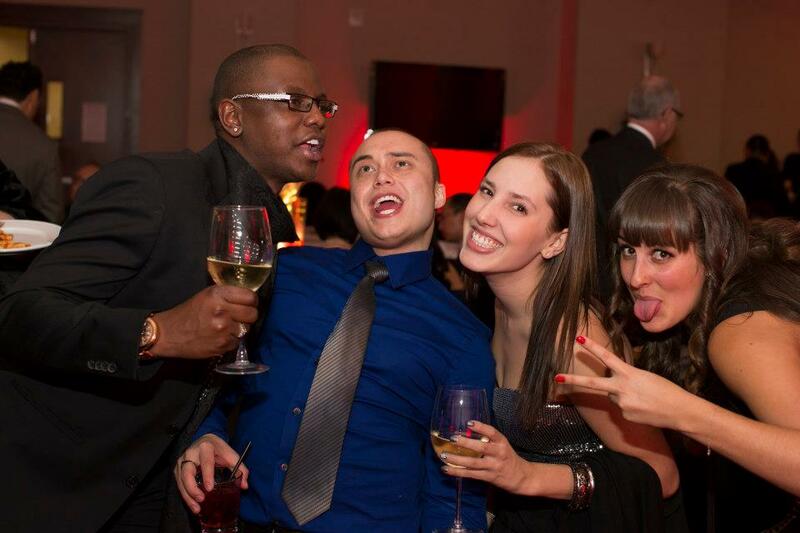 It was the most ridiculous Christmas Party I’ve ever been to (not that I’ve been to many), but also the most fun. N and Z ended the night on the dance floor, their ties on their heads. It was hilarious. We had a professional photographer, so I didn’t have to worry about taking pictures. (Although, I did capture a few ridiculous moments after the photographer had left. Precious.) We started off the night looking pretty classy. It’s so fun to see everyone dressed up! This lovely lady is pretty awesome too! Since we had a photographer, there were lots of photos like the following. I actually kind of like it though since you can actually see my whole dress! Things got pretty ridiculous after dinner and there are some hilarious photos. These are just a couple of my favourites. We’re all having way too much fun! I want to buy whatever Z is selling.